We're in a class of our own. We generate marketing strategies-and flawlessly execute them. The smart way to increase ROI. 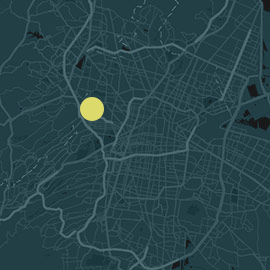 From efficiency to scale, we are obsessive optimizers. Learn what we're all about. We’re proactive. We’re creative. And we’re the best at what we do. Explore the latest from PACIFIC. Find thought leadership, articles, press releases, and more. Check out the latest news from the search industry. Google is taking steps to push Google Assistant further into the forefront of voice search, by releasing several updates geared towards streamlining airline bookings, transportation and communication for travelers. A new foreign language translation update is being rolled out for Google Home devices and Google Assistant will be further integrated with Maps. The interpreter function will support more than 25 languages. Conversations will be visually translated between parties and can be verbally repeated by Google Assistant. The update hasn’t been released yet but, at the moment, the booking capability is only available on mobile. Google is said to be partnering with several hotel chains and booking services for the initial launch. In addition, the Google Assistant voice check-in is currently available with United Airlines, but additional partnerships are in the pipeline. However, the details are still under wraps as to how these processes will work. 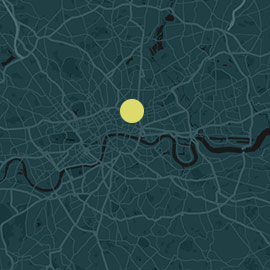 The Google Assistant and Maps integration is not new but, the updated capabilities include: sending text and playing music, as well as sending messages through third-party apps (i.e. WhatsApp and Facebook Messenger), via the Android version. The updates will reinforce Google Assistant in the marketplace, increasing voice search usage by the public. Companies in the travel industry looking to compete for visibility and convert users, will be more inclined to optimize for voice search. Lastly, as voice search increases in popularity, so will overall searches and queries. It’s further motivation for markets to target and position content for featured snippets. 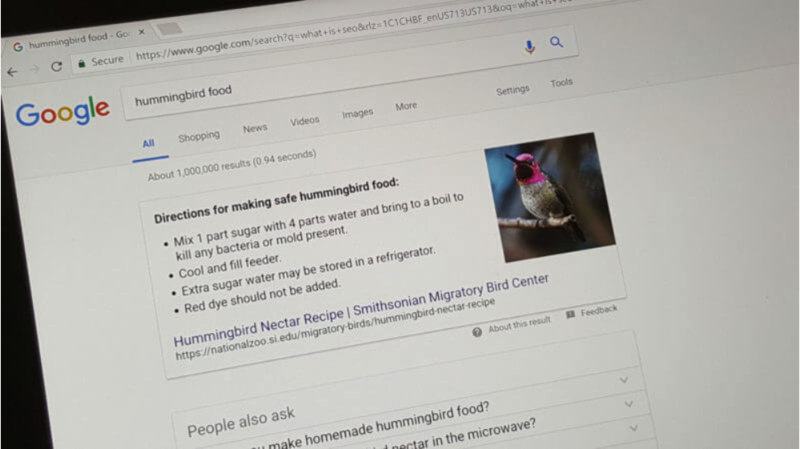 Google now has the capability of linking searchers directly to the section of on-page content that it thinks best answers their query. Meaning that instead of taking searchers to the top of the website page, it can take them to the exact spot where the content is located. 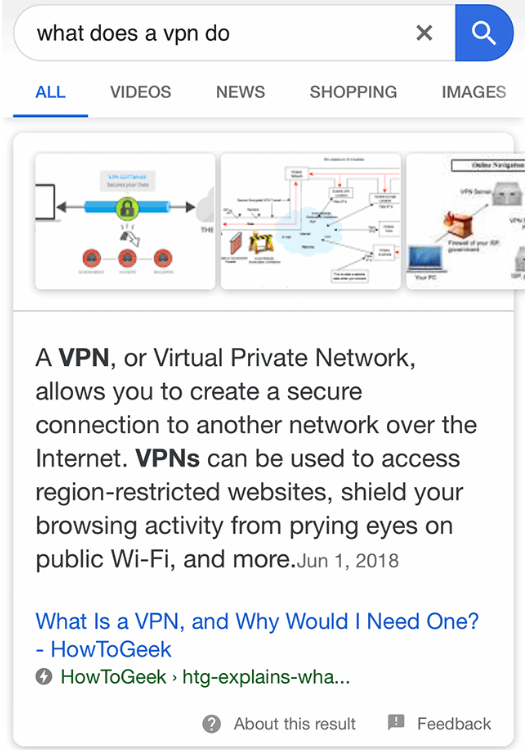 This feature works for some searches on Google’s mobile browser that feature AMP content in the featured snippet block. With the pros, come the cons. Yes, it will make finding on-page information easier for mobile users. However, it poses challenges for digital marketers and content producers. If users are taken directly to the on-page content, headlines, important information, website clicks, and conversions may be affected. Keeping a continuous eye on analytics data will be imperative. A mystery is afoot. Yelp’s recommendation software update dubbed, “Ghost,” is impacting business owners across the platform in a big way. The update began around Halloween of 2018. Multiple user reviews were “ghosted,” from their pages into the “not recommended” section. The update is invisible and only noticed by those affected (i.e. loss of reviews). Overall, 1 in 4 businesses were affected by Ghost. Not all of the reviews filtered into the “not recommended” section were 4 and 5 stars. Notwithstanding, the update is affecting businesses enough to lose ranking positions. When asked about the update, Yelp gave a surface level response with no additional details. It’s unclear what Yelp specifically has in mind for user reviews with the Ghost update. Are fewer reviews needed for ranking, or is the new focus now “the fresher, the better”? Until further information is released, it’s recommended that digital marketers and business owners closely monitor their rankings, and create additional opportunities for users to leave new reviews. This can be done via the Yelp page itself, or linking website and social media pages. The privacy-focused search engine, DuckDuckGo, is picking up traction and popularity. 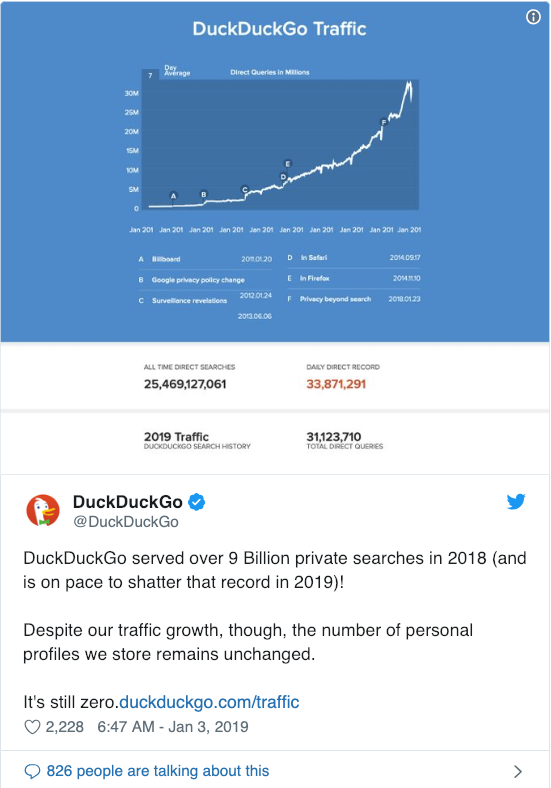 The company recently announced on Twitter that it surpassed 9 billion searches in 2018. DuckDuckGo’s daily search numbers continue to climb, hitting over 25 billion searches to date. The recent daily research record was 34,406,841. 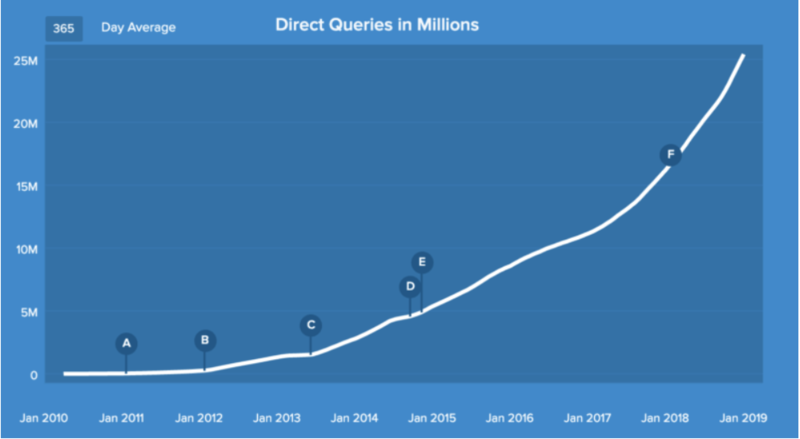 In 2018, the search engine reported having 9,239,676,317 queries. DuckDuckGo is the “little engine that could”. It shouldn’t be ignored. Browser privacy is a continuous conversation not only in the search world, but throughout the internet. 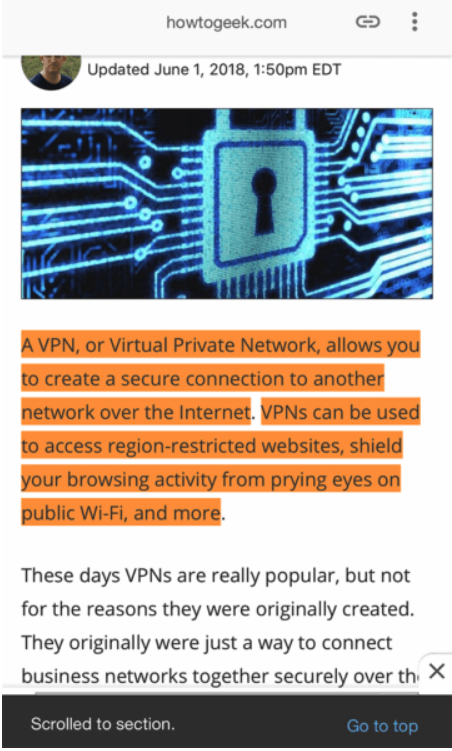 This is right up DuckDuckGo’s alley. It’s their bread and butter. While the majority of SEOs focus on Google, perhaps they should take notice and consider examining its mechanics and potential opportunities. 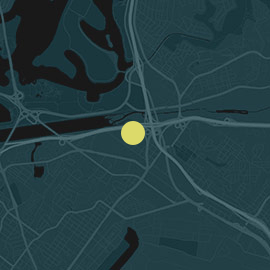 Google recently acquired the expert community and “answer engine,” Superpod for $60 million. 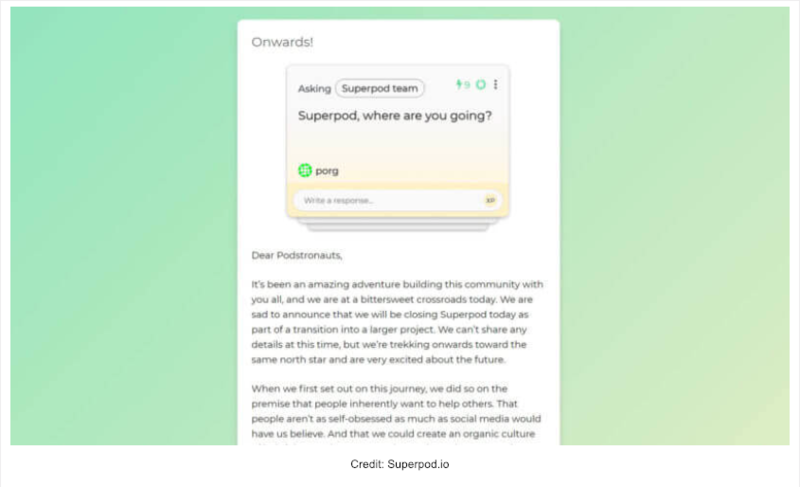 Founded by two former Google employees, William Li and Sophia Yang in 2016 (estimated), Superpod matches audience questions and expert answers on a broad range of topics. Reports say that Google acquired the company predominantly for its team and expert community. Superpod released a statement on its company website confirming the buyout, as well as, hinting at working on a new project with Google. It’s speculated that Superpod’s assets will be implemented with Google Assistant, but no details have been confirmed. The search engine’s infrastructure was built to be integrated with platforms like Google, or as part of a new social Q&A initiative. In the past, Google has attempted to develop expert platforms and communities. All of which have not succeeded as desired. However, it will be interesting to see what will come out of the acquisition. 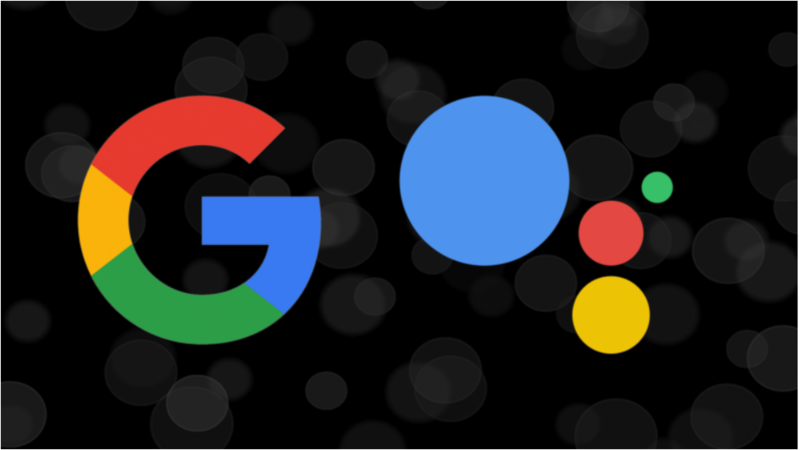 Google hasn’t disclosed the overall percentage of voice queries from Google Assistant, compared to traditional search results. If Superpod’s community and capabilities are applied to Google Assistant, it could further solidify its usage in the mainstream market space. In turn, SEOs will need to ramp-up getting clients’ content to show up more frequently in featured snippets, or position “0” on search engine results pages.